CENTRAL BROOKLYN – Governor Cuomo has announced the organizations chosen to develop 2,700 units of affordable housing in Central Brooklyn as part of his Vital Brooklyn initiative. The four companies will develop the 100% affordable units in Central Brooklyn for residents making less than 80% of the Area Median Income. Many of the units will be targeted to seniors, and some will provide support services for the developmentally disabled, families struggling with homelessness, and individuals aging out of the foster care system. 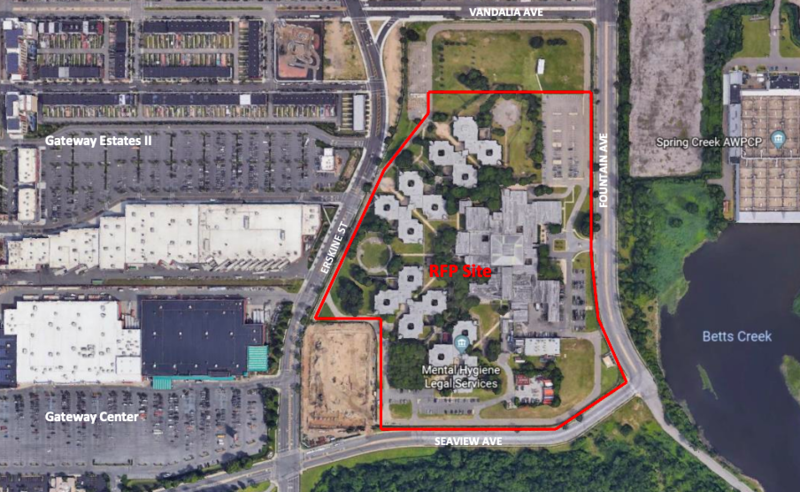 The first group, consisting of RiseBoro Community Partnership, Apex Building Company, L+M Development Partner, and Services for the Underserved (SUS) was selected to purchase and redevelop the former Brooklyn Developmental Center in East New York. More than 2,400 units will be created, with 45% available to households earning up to 50 percent of 50%. Additionally, 207 units will be available for formerly homeless individuals and families, 185 for intellectually and developmentally disabled individuals, and 156 units for seniors. Services in the area will include workforce training programs for residents. 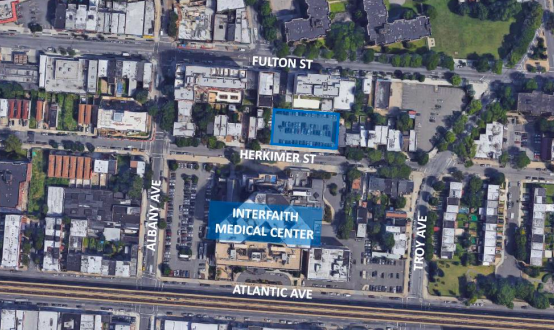 Finally, at Interfaith Herkimer Site A, the non-profit Federation of Organizations will build 119 affordable homes for seniors, with social workers, case managers and nurses on site. 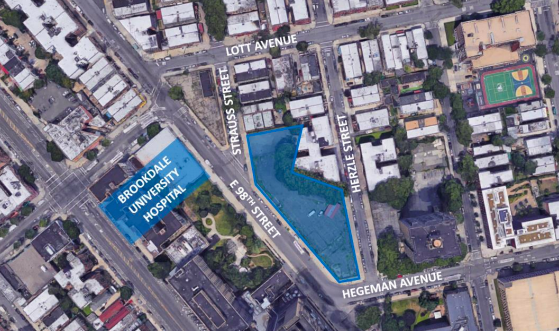 In addition to the newly announced winners, a second RFP has been released, looking for developers to create more affordable housing, this time on land owned by the SUNY Downstate Medical Center-affiliated Health Science Center at the Brooklyn Foundation. These units will help the program reach the goal of 4,000 affordable units through central Brooklyn. 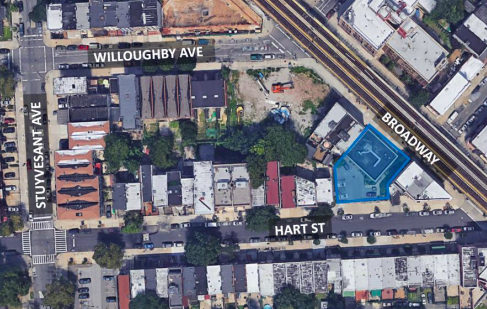 Housing is just one factor of the Governor’s sweeping $1.4 billion Brooklyn initiative. Other aspects of the project focus on health in Central Brooklyn, and just this summer the Governor pledged millions to help local community gardens in an effort to provide healthy, local food. At the beginning of the year, a $700 million investment in strengthening the area’s healthcare system through development and consolidation was announced as well. I had a dubious interaction with CAMBA office regarding the Park Slope Armory women’s shelter. It seemed that the security guards were picking clothing and other donations for themselves before leaving the leftovers for the residents. There was a screaming match between the guards and residents when I dropped off clothes and shoes. I called the CAMBA offices to alert them and also to express concern this type of incident would deter future donations. They took me seriously for exactly two emails after I left several voicemail messages. 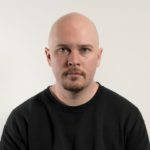 Then out-of-the-blue, after telling me they would send me tax documentation I should have received at the time of the donation and that they wanted me to recount the incident with a manager, they just stopped correspondence. I tried to follow-up several times over many weeks but they just ignored me.